While the magic of a Warner Brothers Studio Tour could have you forgetting all common sense, it’s always a good idea to really understand a day trip destination before packing the car, so I’ve put together this handy go-to fact list. 1. It’s not hard to get to! 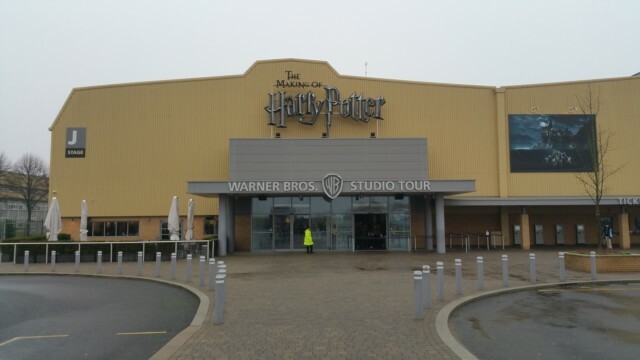 You’d be forgiven for thinking that Hogwarts, Hogsmeade and Little Whinging needed to be created in a super secret and well-hidden location, but in reality, the Warner Brothers Studio Tour is in Watford. Easy for anyone to get to via either car or public transport, Watford, or more specifically, Leavesden, won’t take serious navigation skills to find. 2. The studios were used for over 10 years. Some people think that the studio tour is simply a recreation of the sets made for all of the Harry Potter films, but it’s really important to understand that these stages were the actual sets. With this in mind, they have a little bit of heritage attached to them, having been in place for over a decade to account for new films and book releases. 3. The tour was created because of the stunning props that were made. When the final film was wrapped, there was a plethora of intricate, detailed and incredible props, sets and costumes to be dealt with and while any other film series might have simply discarded them, the Harry Potter team had other ideas. Understanding that the books and films had played and continue to play such an important role in countless lives, it made sense to the tour creator to offer a behind the scenes peek at all things magical. 4. No two visits to the tour are ever the same. When the tour doors opened back in 2012, there was no telling just how popular and ever evolving the experience would become. It would have been terrifically simple to keep all the exhibits the same, throughout the year, but instead, new and interactive features have been popping up regularly to keep stalwart fans, both young and old, engaged and coming back for more. A great example of this is the Forbidden Forest experience, which opened in 2018 and brought some of the magical creatures of the Harry Potter franchise to life. 5. It’s a multisensory experience! It’s a done deal that any serious Harry Potter fans will enjoy their time on the studio tour, but what about those of you that are a little less enthused? Well, get ready to become newly obsessed, as there is far more to do than simply walking around the sets and looking at all the incredible props. Taking the time to indulge in a Butterbeer or two, as you eat lunch, will really get you in the Hogsmeade spirit and once you hit the studio shop, you’ll be ready for some chocolate frogs and Every Flavour Beans as well! 6. You can enhance your own tour. Finally, don’t forget that you can make your tour as personal and interactive as you like. If you want to simply wander the sets with your little ones, you absolutely can, but activity passports and digital guides can really add to the day. The passports are totally free and can be stamped during various parts of the tour, while also including snippets of trivia that even devoted Potterheads will be surprised by. The audio digital guides are headphones that can be rented for a small cost. If you’re leading a group of Hogwarts wannabes, you can leave all of the specialist Harry Potter knowledge to them, but make sure that you’ve really acquainted yourself with all the information about the tour itself. This will help to make sure that you get the very most out of your experience and I’d suggest signing up for notifications of new exhibits and features, just in case something really perfect springs up!